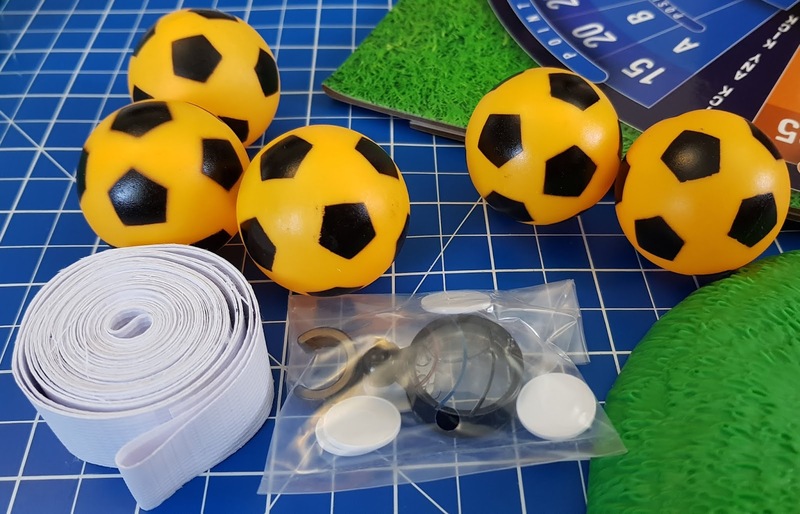 I'm really pleased to bring you this review because MiniMaster Football is an excellently designed product with lots of care and attention and masses of added value. Miniature football you can play indoors, but big enough that you can stand up to play. 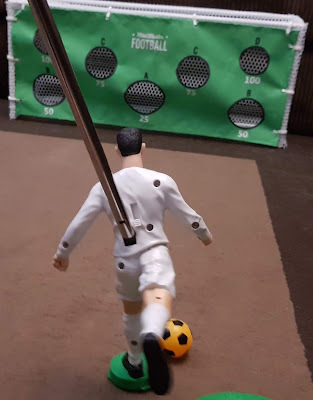 You control the 1/8th scale footballer as if he's a real player, infinitely adjusting his angle and direction of kick - you can even chip, toe-poke and of course aim. I first discovered MiniMaster Sports at BlogOn and they gave me a Football Set to bring home and review. Unusually for a family with 5 boys living in Manchester, although we follow football and watch a few matches, we don't have anyone who is footie mad, however everyone loves this! 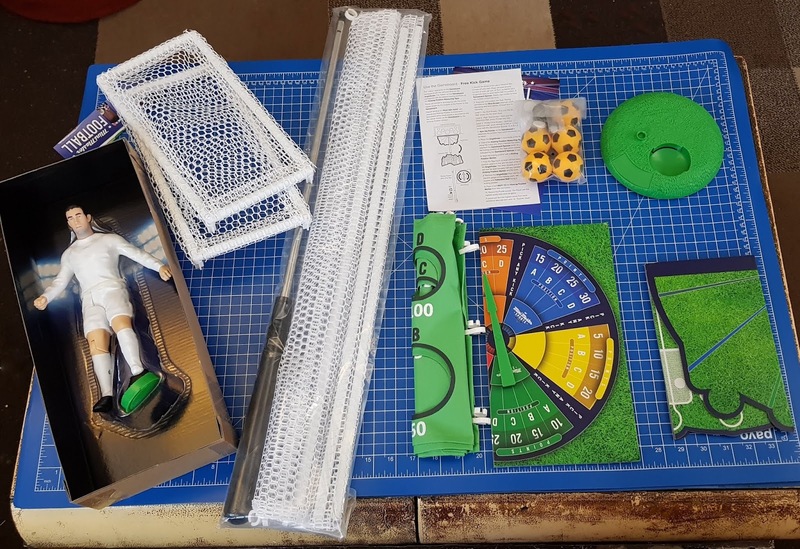 No waste, very little non-essential or wasteful plastic, no batteries and everything is in a fairly compact box considering the size, which you can store it in afterwards. Christmas-morning and Earth-friendly. 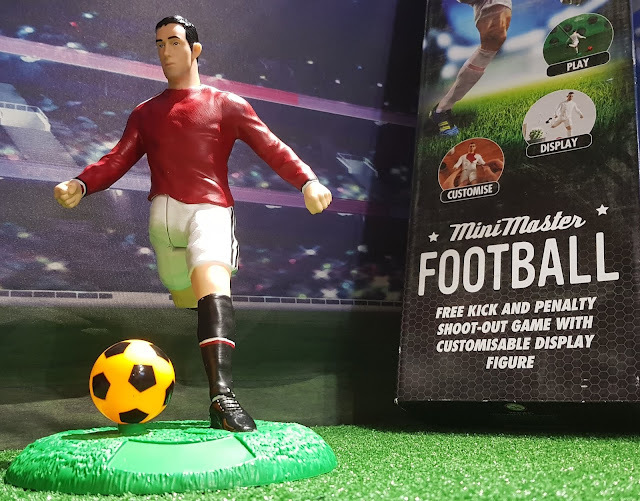 The footballer figure has a stand which supports him well and can be used on a display shelf. 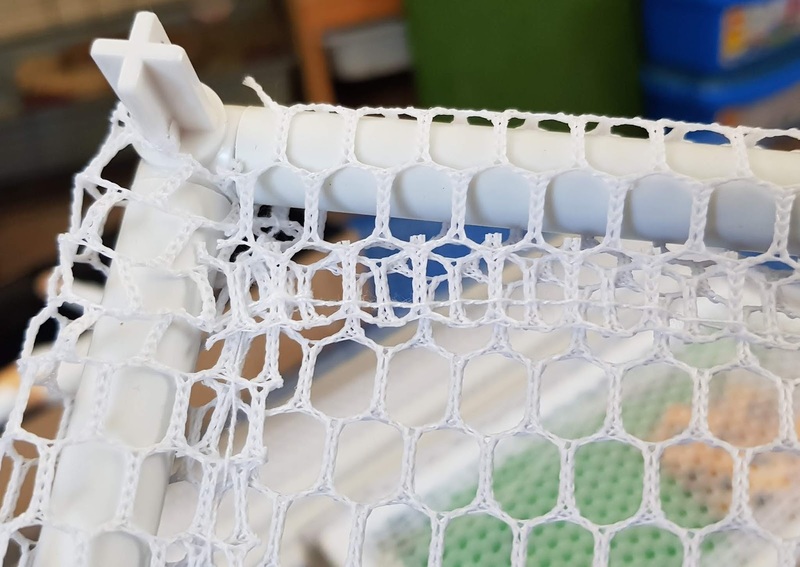 The figure base twists into the indent, so it's secure. 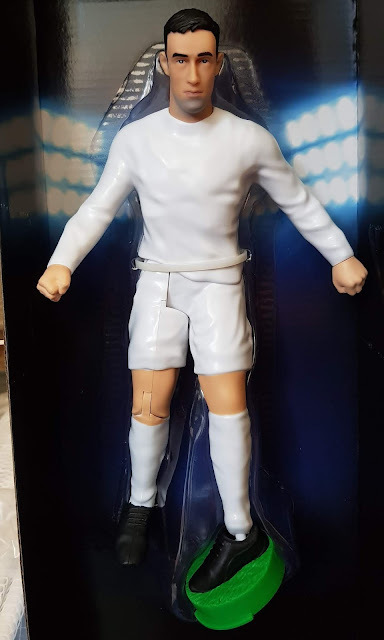 He is made from plastic similar to other more familiar model types and can be painted to represent any team or player of your choice. He works really well and can kick up to 4metres (12ft). His left foot swivels at the ankle and his right foot pivots (stretch/bend the ankle). 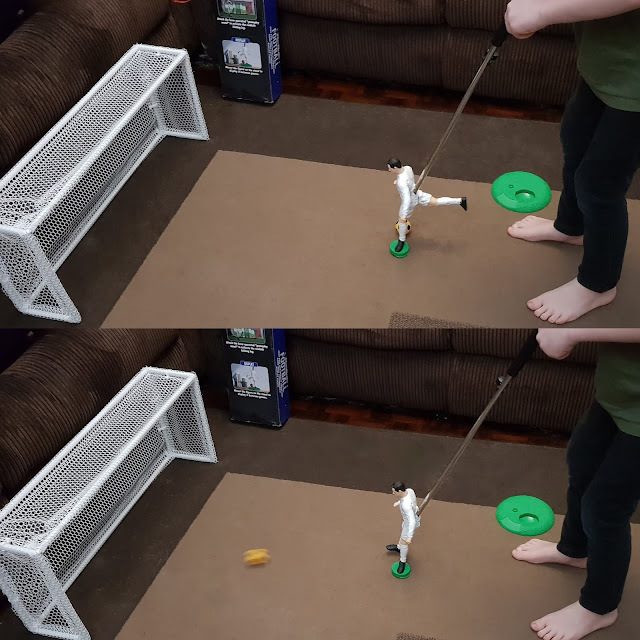 Add to that the bending knee and hip, and the fact you tilt him as he kicks and you have a really good control system. 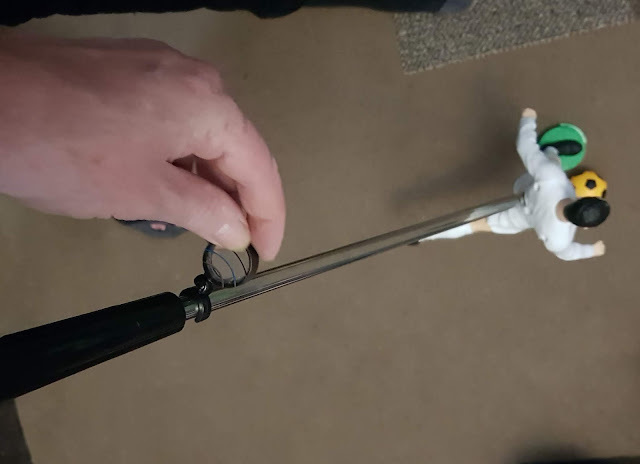 Tilt can be measured using the Eye2Ball Shot Training Aid, which can be angled however suits and contains a spirit level and markings. There is a lot more skill to this than you'd first imagine and even if you aren't initially great at it, you can learn. Pull the lever-handle on the 'Action Wand', or 'stick' as my kids call it, to shoot and control power and speed. The goal is lovely. It's to scale, so seems huge, and it's really well made with a sewn nylon fabric netting around the plastic frame. I love it. I wish all brands took this level of care. 5 balls - brilliant. It will even take my kids a while to lose 5 balls. There are instructions for 2 games and 8 challenges and the equipment you need to play them, right down to ball markers and a tape for measuring penalties and free kicks. There's a Target Screen for target scoring with penalties and free kicks, which has rubbery clips that won't snap in any hurry. 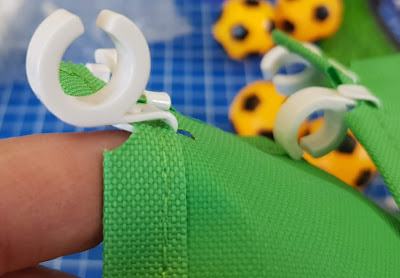 It fits beautifully and easily, but stays in place while you attack it with multiple attempts to score. The Gameboard with the spinning pointer and Anglefinder are used for the Free Kick Game and Penalty Shoot Out Game. 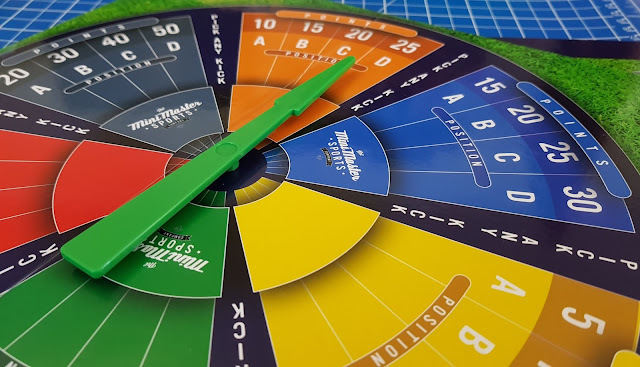 The coloured segments correspond to angles and the letters match up with those on the measuring tape for distance. We found in a long thin living room space we couldn't make enough room for wide angle shots unless we just turned the goal about 45 degrees! 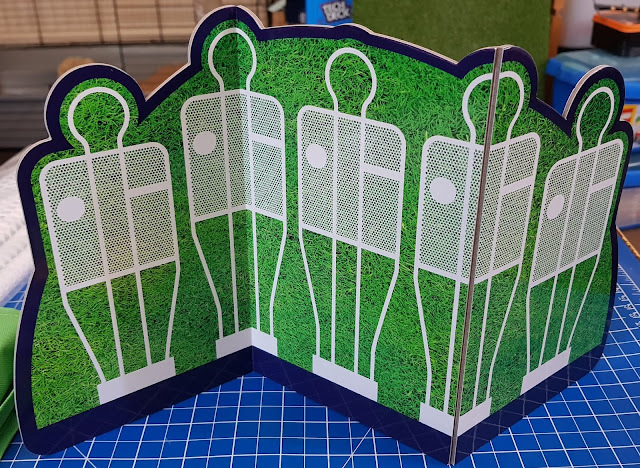 The Defensive Wall is obviously only used for the Free Kick Game and the thick card with 2 folds works really well. It stands up and will deflect the ball no problem. It's card, but very glossy and excellent quality. The instruction sheet seems quite complex at first, but it's all very easy and intuitive to understand in practise. There are the 2 game rules and also 8 Challenges of varying difficulty. There are also instructions for using the Anglefinder, adjusting the player for different types of shot and using the Eye2Ball. We really didn't need them except for the game rules, everything is easy to work out (although this player doesn't seem to be respecting the penalty spot!). It's loads of fun!! So much added value in this set that it's almost impossible to remember it all, and that makes it really special. 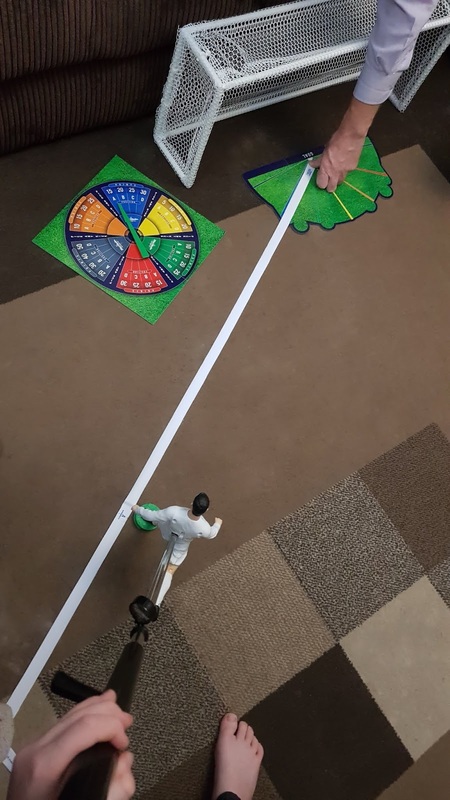 It is a model, a figure, a game for parties and a solo activity. Customise, display, play. It's a win. We love the MiniMaster Football Free Kick And Penalty Shoot Out Game and we love the price. Genuinely excellent quality and design plus all of that playability for a very decent £34.95. 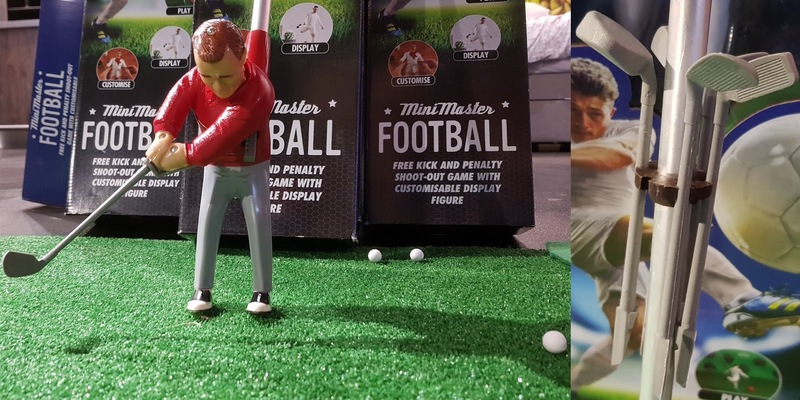 Find out more, buy sets, brushes and paints and check out the other games on the MiniMaster Sports Company website. 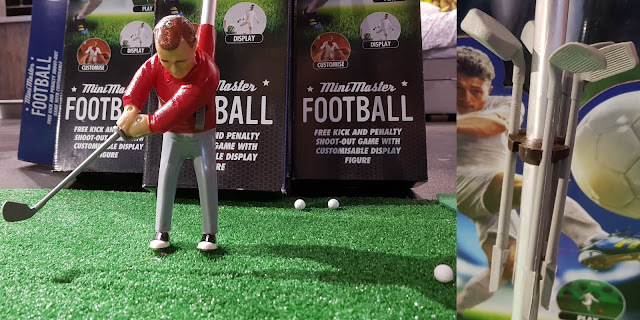 Also available is MiniMaster Golf, which I'm sure will especially delight grandparents and parents across the land. Both sets are great gifts and such excellent quality I can't see that any sports fan would be disappointed to receive a set this December. 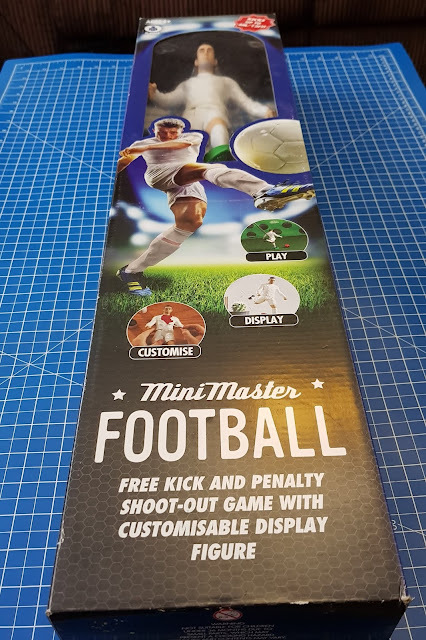 We were given our MiniMaster Football Game for review. *I'm an Amazon Affiliate, which means if you buy through my link, you don't pay any more, but I get a few pence towards the cost of running the website and feeding the cat.